Marian Wood Books/Putnam, 9780399157417, 448pp. 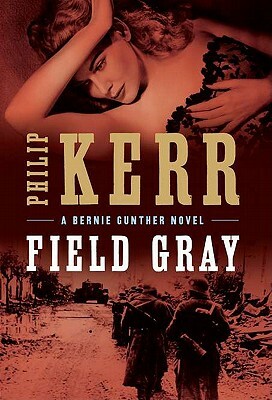 Philip Kerr delivers a novel with the noir sensibility of Raymond Chandler, the realpolitik of vintage John le Carre, and the dark moral vision of Graham Greene. "Bernie Gunther is the most antiheroic of antiheroes in this gripping, offbeat thriller. It's the story of his struggle to preserve what's left of his humanity, and his life, in a world where the moral bandwidth is narrow, satanic evil at one end, cynical expediency at the other." "A thriller that will challenge preconceptions and stimulate the little grey cells." "Part of the allure of these novels is that Bernie is such an interesting creation, a Chandleresque knight errant caught in insane historical surroundings. Bernie walks down streets so mean that nobody can stay alive and remain truly clean." Bernie on Bernie: I didn't like Bernhard Gunther very much. He was cynical and world-weary and hardly had a good word to say about anyone, least of all himself. He'd had a pretty tough war . . . and done quite a few things of which he wasn't proud. . . . It had been no picnic for him since then either; it didn't seem to matter where he spread life's tartan rug, there was always a turd on the grass. Striding across Europe through the killing fields of three decades-from riot-torn Berlin in 1931 to Adenauer's Germany in 1954, awash in duplicitous "allies" busily undermining one another-Field Gray reveals a world based on expediency, where the ends justify the means and no one can be trusted. It brings us a hero who is sardonic, tough- talking, and cynical, but who does have a rough sense of humor and a rougher sense of right and wrong. He's Bernie Gunther. He drinks too much and smokes excessively and is somewhat overweight (but a Russian prisoner-of-war camp will take care of those bad habits). He's Bernie Gunther-a brave man, because when there is nothing left to lose, honor rules.